With the season over, if you are anything like me, you already miss football. Each year during the offseason, I look forward to watching the NFL Scouting Combine. NFL hopefuls are put through a variety of tests and measures to give team officials some extra data to help in their planning for the draft. So despite what you may be led to believe from the majority of media coverage, there is a lot more going on than just finding out how tall Kyler Murray is! As a physical therapist, I am especially interested in how each athlete performs during physical performance testing. At the OrthoCarolina Sports Training Center our strength coaches, athletic trainers and physical therapists use many of the same tests and measures to help everyone from high-level athletes to the recovering weekend warrior trying to decide whether it is time to get back on the field. Even though some football purists question whether combine results actually translate into NFL success, anyone who enjoys sports can appreciate all of the hard work and athleticism that goes into this event. Millions of dollars are on the line depending on where an athlete is picked and these tests can provide valuable data to NFL teams. Outside the NFL, these tests can be helpful for you, too. They allow strength coaches to chart the progress of your training program and help physical therapists/athletic trainers determine if you're ready to get back out there after an injury. 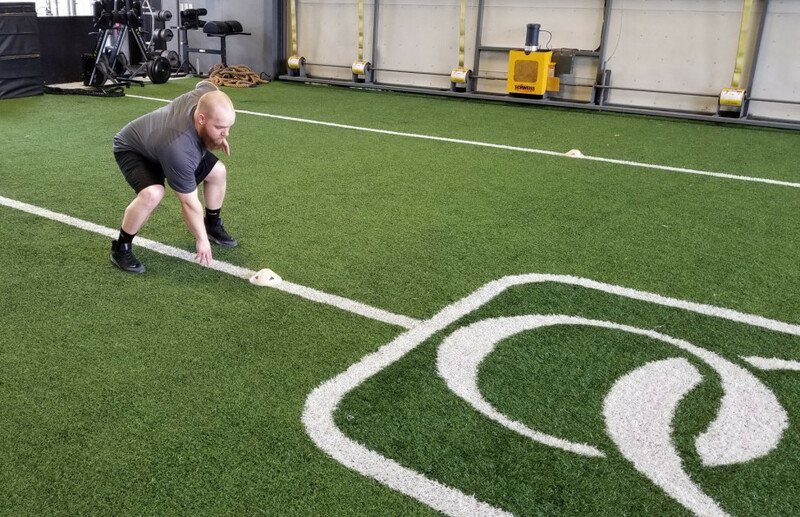 Most of us are fairly familiar with the bench press and 40-yard dash, so let’s talk a little about some of the other tests and how we can apply them to various types of populations. The vertical jump is a great way to measure explosive power in the vertical plane. If you watched the Combine you saw them use a device called the Vertec, which we use in our own testing. For athletes coming off an injury, we are often interested in how strong and explosive one leg is compared to the other, so we will use a force platform which allows us to get a very accurate comparison of symmetry side-to-side. Generally, we would like no greater than a 10% difference side to side. The broad jump is another test that shows leaping ability using both legs in the horizontal plane. In rehab, we work on developing proficiency in two-leg jumping first. Then we move on to hop testing (one leg take off, landing on the same leg) so that we can do a side-to-side comparison and get a percentage, called a limb symmetry index. The 20-yard shuttle is sometimes referred to as the 5-10-5 shuttle or Pro Agility Test. It assesses that athlete’s ability to change direction making 180-degree turns in a short space. For athletes returning from injury, we would like this drill completed in 4.5-6 seconds for males and 5.2-6.5 seconds for females. As a point of reference, the top performers in the combine are completing this drill in around four seconds. The 60-yard shuttle is the same drill just performed over a longer distance. 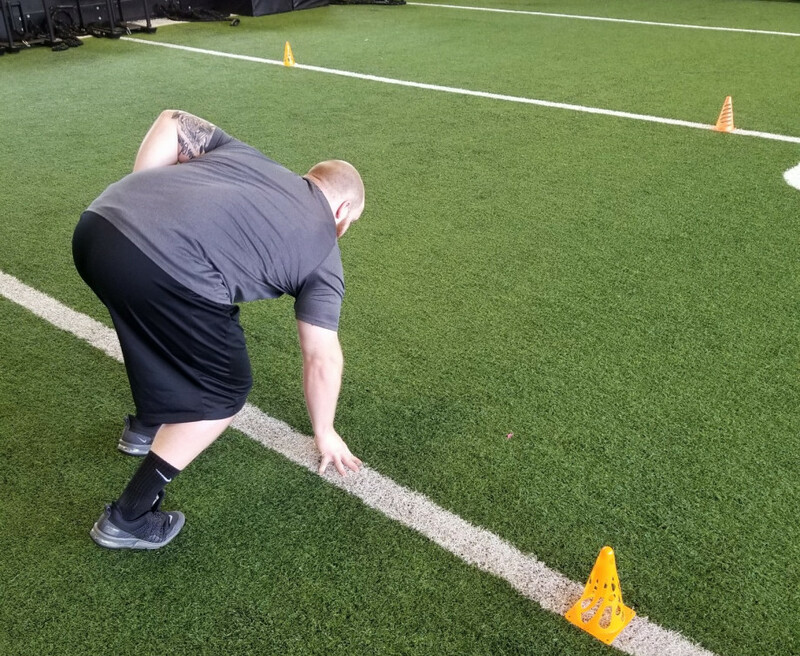 The 3-cone drill is a series of direction changes performed around three cones laid out in the shape of an "L" five yards apart from one another. This is often said to be the best predictor of the success of pass rushers, often the first athletes off the draft board. Top times are under seven seconds and to be successful you need to be able to bend and get around the corner with quickness and fluidity. - The NFL Combine supplies teams with the information they need to make choices on draft day. OrthoCarolina's Dr. Pat Connor, Carolina Panthers head team physician, shared how he evaluates players and what he's looking for. - The OrthoCarolina Sports Training Center offers everything you need to be your best self from physical therapy to adult boot camp classes to training for young athletes. Chris Gabriel, PT, OCS, CSCS is a physical therapist based at the OrthoCarolina Sports Training Center.